Optimally utilizing the knowledge of the industrial sector, RACL manufactures and exports exceedingly high quality of Sprockets & Ratchets. These products owing to their sturdy structure and precise dimensions are highly demanded both in domestic and overseas market. 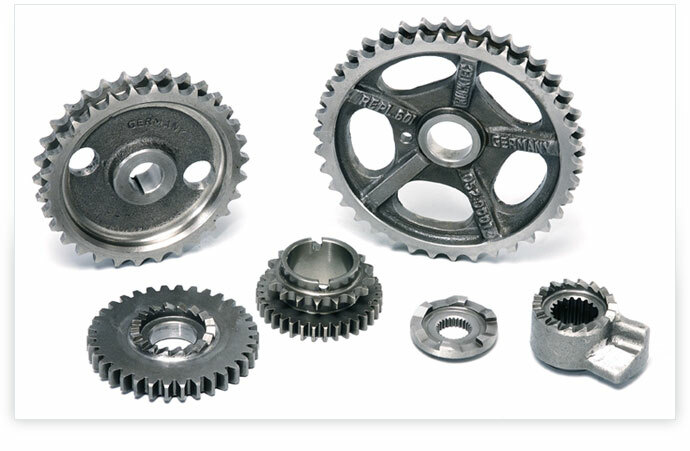 The expertise of RACL in designing and developing sprockets and ratchets of impeccable quality is matchless. By employing most advanced machines the company ensures that every aspect of the offered product range has zero defects. Starting from procurement of raw material, fabrication till final quality inspection international standards are rigorously followed .In addition to this, constant R & D efforts enable RACL to improvise the designs of these products to be in sync with the ruling industrial demand.